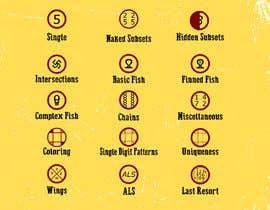 I need a set of icons, one for each technique. They should be simple line icons, with simple colors. I know I am asking for a lot of icons, but you can re-use components and they should be simple. Deliverables is a set of vector PDF files with proper transparency. Freelancer made "PNG, JPG and GIF" acceptable file types, but I want vector PDF. Suggestion: MAKE IT SIMPLE. For example, use "o" to indicate naked single/pair/tirple etc and use "x" to indicate hidden single/pair/triple etc. See attached pen drawings for examples. Hello. How many icons you need in final? 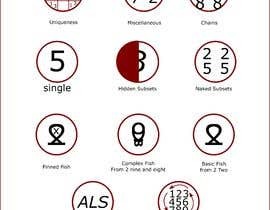 Do you need own icon for the every subgroup point? Yes I would like one for each. if you can inbox me we can discuss on this. 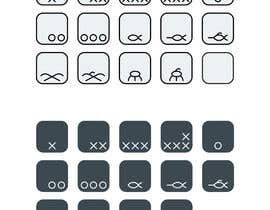 I can help you to make these icons, but the link does not work, and if you type in google names, it does not give anything necessary.